Three decades ago on March 24, 1989 the oil tanker Exxon Valdez struck Bligh Reef at the entrance of Valdez Arm in Prince William Sound, spilling 10.8 million gallons of crude oil in critical need of immediate response. 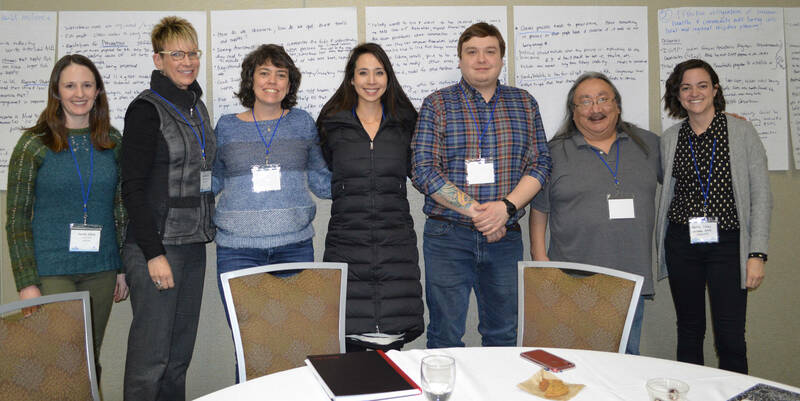 On Feb. 20, 2019 Alaska Sea Grant hosted a workshop at the Dena’ina Center in Anchorage to revisit various dimensions of how damages of the spill were addressed through a focus on three categories relevant to community and human impacts of the environmental disaster relative to oil spills: public health, social disruption and economic loss. Presenters and panelists incorporated a broad range of research establishments as well as state and federal organizations, including Sea Grant affiliates from both Alaska and Texas, the Prince William Sound Regional Citizens Advisory Corporation, United States Coast Guard, the Prince William Sound Science Center, UAA’s Institute for Social and Economic Research, Bureau of Ocean Energy Management, National Institute of Health, Alaska Ocean Observing System and the Alaska Chaddux Corporation. Most notable about this assortment is that presentations offered feedback and findings to a diverse audience — it was not solely research-structured but included more interactive response venues through local levels in both mid-size communities in the Gulf of Alaska and smaller rural villages in the northwestern coastal and island regions of Alaska. After each presentation, audience members were welcome to express themselves or ask questions. One notable set of comments came from an elder audience member who grew up on Little Diomede Island located in the center of the Bering Strait and currently living in Wales, Alaska.